I’m not talking about whether you have your ID to get on a plane or if you’ve bought the “right” dessert. I’m talking about a plan of action for yourself IF things with your family goes sideways…and not in a good way. Hopefully you’ve been working on identifying how you want to show up for the holidays/wedding and what boundaries you need to set in order to get through, and all the other upcoming holidays/events, without pulling all of your hair out. Many people think because “it’s family” that they have to sit and endure whatever their family throws at them, literally and figuratively. Not true. I give you permission to get up and leave if you need. 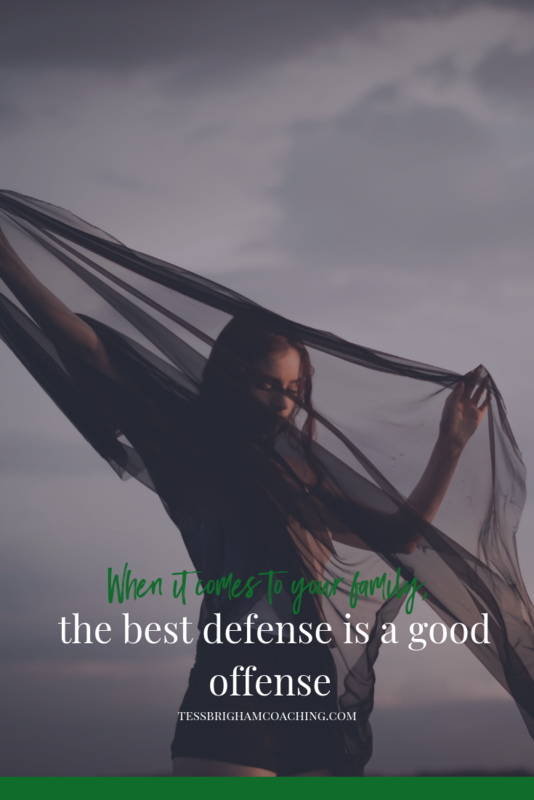 This doesn’t mean you have to leave the house and never come back but if things with your family start getting tense…sometimes the best thing is taking some space. This could mean walking around the block a few times, running errands for your mother, or even going to your room to call a friend. It’s good to have at least one or two friends on standby to help calm you down and give you much needed perspective and support. One option many of my clients don’t even consider is not spending the entire holiday with family but choosing to spend only one or two nights or even just going for the day (if that’s geographically possible). If you have the means, I highly recommend investing in a local hotel/motel. It may not feel as “cozy” as you like but sometimes just being able to have your own space makes a world of difference. You’ve spent the last couple of weeks really thinking about what’s important to you this holiday season so now it’s time to put those thoughts into action. Knowing your family and knowing your specific situation, what’s your plan of action if things get tense? What’s your plan if someone doesn’t respect your boundaries? What if you feel like you’re in danger or your feel you might do or say something you regret? Remember, you can’t change your family — you can only change yourself. Your plan of action needs to take that into consideration. Let me know your plan of action for any upcoming event or holiday!